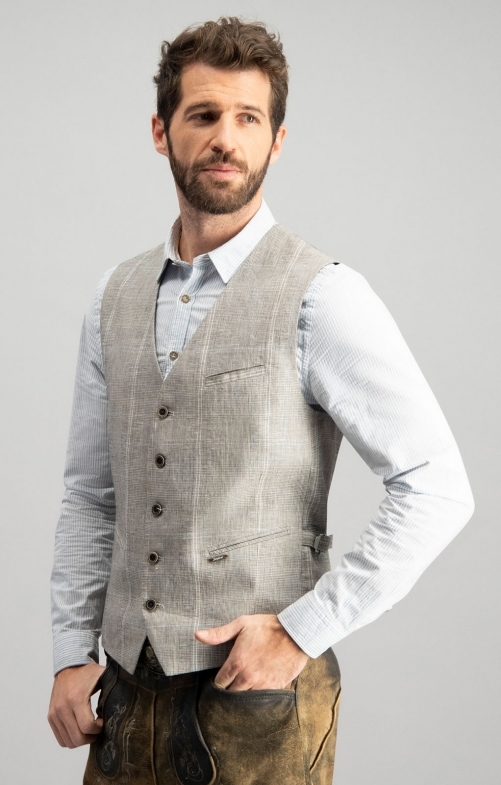 Traditional waistcoat for stylish men. This exquisite traditional waistcoat in classic beige impresses with its elegance and perfect understatement. With this gem you are properly dressed not only for Oktoberfest, but also for the city, at work or on festive occasions. Elaborately crafted piped pockets testify to the particularly high-quality workmanship of this elegant vest. The material mix of cotton and linen guarantees a comfortable fit. The width can be individually regulated and adjusted precisely.